The foundation and algorithms for the innovative design approach has been researched by our group, led by Prof. Klaus Kabitzsch, for many years. 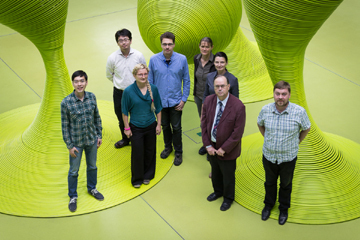 The research is carried out with partners of the professorship. The chair is part of the institute of applied computer science at the TU Dresden, features an own LON multi-vendor system and is a member of the registered association LonMark Deutschland e.V. (LMD) since 1995. Prof. Kabitzsch and his team have plenty of expertise in room and building automation and contributed to several specialist books. In addition, we are involved in the LMD working group “Technik” as well as in standardization committees of the VDI standards 3813 and 3814.